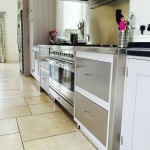 I must admit to looking forward to this project ever since writing my quotation to Hand Paint it. 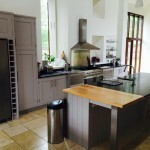 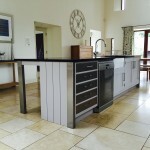 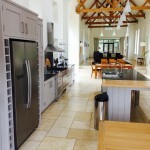 Originally the kitchen was natural Maple, finished in varnish – it is well made and fits comfortably within my clients rather splendid Barn Conversion in picturesque Herefordshire, about 8 miles outside of Ross-on-Wye. 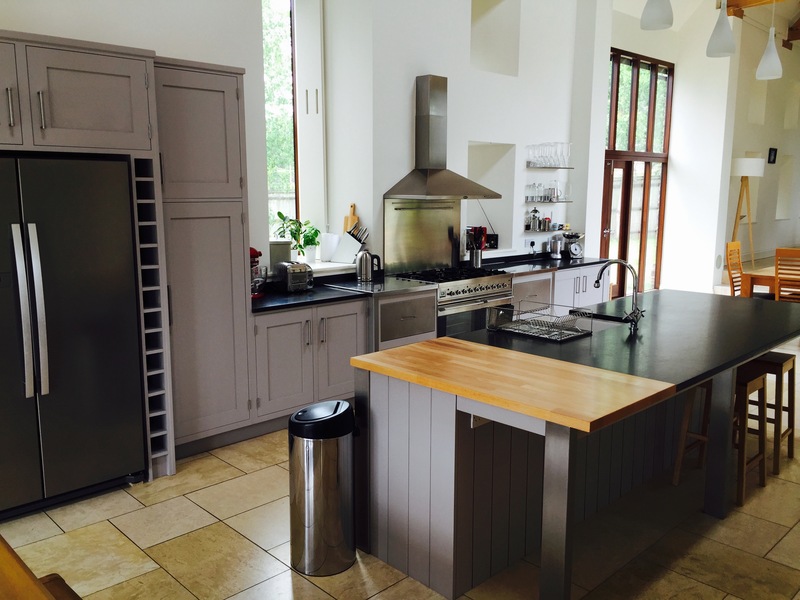 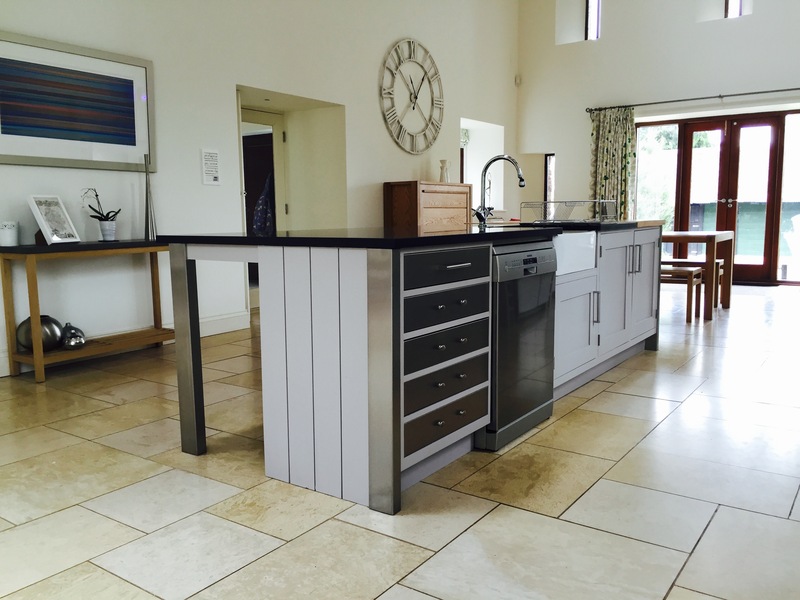 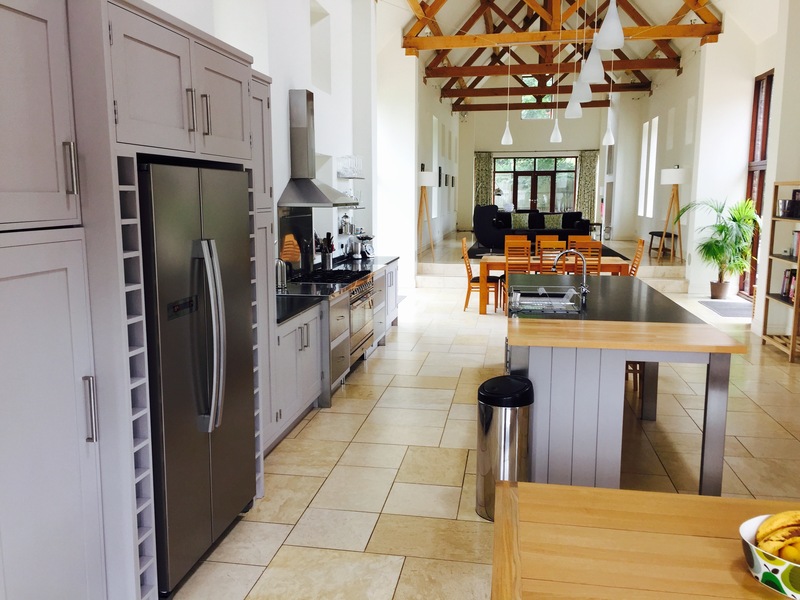 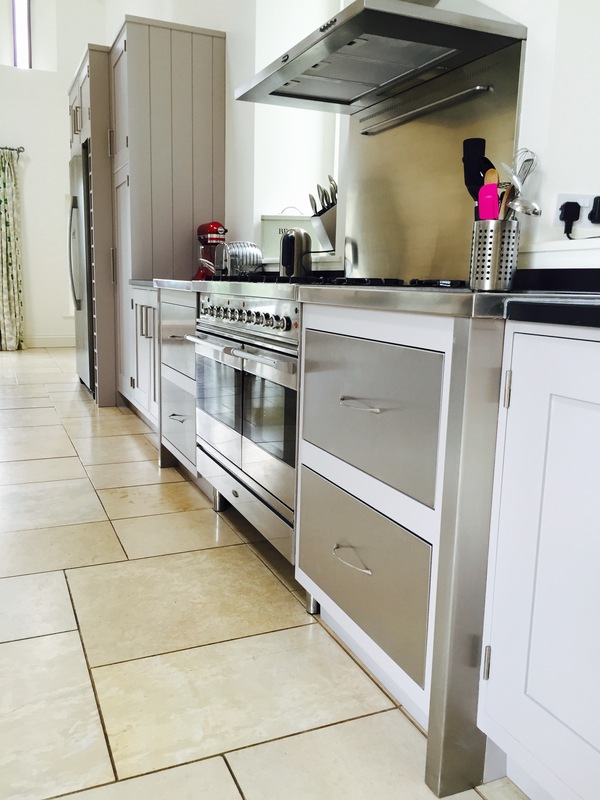 My clients had recently bought this property and had inherited this wonderful kitchen… it worked well, but needed some TLC to bring it up to tip-top standard, complete with metal drawers, legs and carcass elements, this really is a stunner of a kitchen! 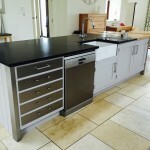 The colour selected was the equivalent to “Perennial Grey” mixed into my preferred Pegaprim Isofix and Tikkurila bases. 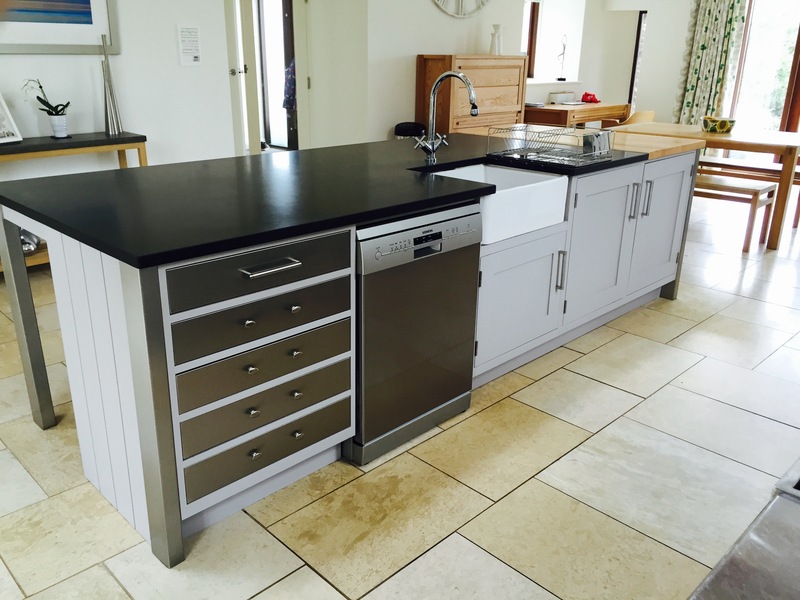 The topcoat finish is “Helmi” which is a 10% (Matt) sheen level.